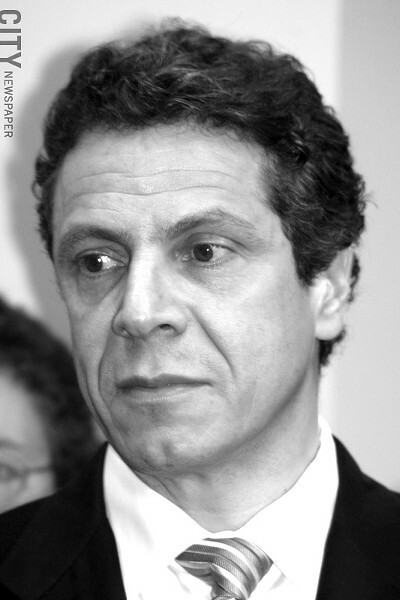 Governor Andrew Cuomo unveiled a comprehensive gun law package on Monday night. It includes a tougher assault weapons ban. 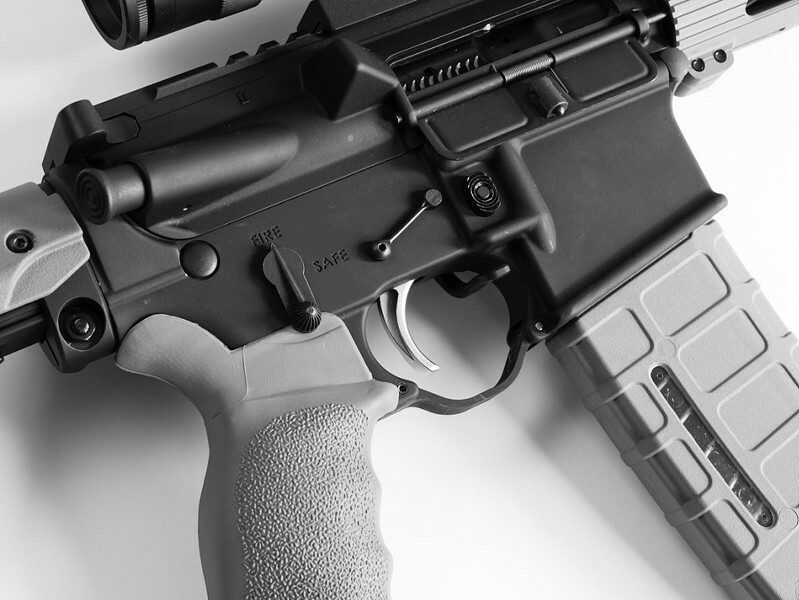 The state's new assault weapons ban would cover AR-15 style rifles, which were used in the Webster and Newtown, Connecticut, shootings. The State Senate passed a new ban on assault weapons Monday. The Assembly was still debating on Tuesday afternoon, but is almost certain to approve the legislation. The legislation grandfathers in military-style weapons already owned by New Yorkers, though they would be subject to a new permitting requirement. The assault weapons ban is part of a larger gun law package put forward by Governor Andrew Cuomo. The package also includes a stricter ban on high-capacity magazines, measures to track ammunition sales, and tougher penalties for gun crimes. Momentum has been building in New York and nationally for new laws and policies to keep military-style weapons out of civilians' hands. Cuomo made gun control a significant part of his State of the State speech last week. The high-energy address was full of new initiatives for Upstate economic development, longer school days, higher minimum wage, and other plans. He also proposed a legislative package addressing gender equality. But the gun issue took priority. Cuomo isn't alone when it comes to advocating for new gun control measures in New York. Rochester Police Chief James Sheppard, speaking shortly before Cuomo took the stage for the State of the State, said New York can and should lead the nation in addressing gun violence. The District Attorneys Association of the State of New York released its own list of proposed gun law reforms, including a stricter ban on high-capacity magazines and tracking ammunition purchases. And at the federal level, the White House and some members of Congress have vowed to push for a new federal ban on assault weapons. 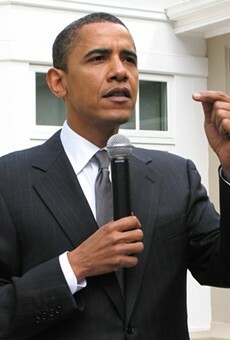 Vice President Joe Biden has presented recommendations for new gun policies to President Barack Obama. Obama says he will release specifics sometime this week. The state's laws have banned certain guns, but otherwise relied on a two-feature test for any semiautomatic gun with a detachable magazine. If the weapon had any two features from a list — things like a pistol grip, threaded barrel, flash suppressor, or folding stock — it was illegal. New Yorkers Against Gun Violence and other gun control groups pushed the state to adopt a single-feature test, and the new ban uses that criteria. New York should also appoint someone to identify new or redesigned weapons covered in the new ban, says Jackie Hilly, executive director of New Yorkers Against Gun Violence. But the likely new law does not appear to do that. "That's really a critical thing because if you don't, then you're in the position of having to change the statute every time you turn around, which is impractical," Hilly says. New York already banned high-capacity magazines, which are frequently used in mass shootings. The new legislation lowers the existing capacity limit from 10 rounds to seven, and closes a loophole that allowed the sale and possession of high-capacity magazines made before 1994. It's easy to determine the year of manufacture for a gun, since all firearms are stamped with serial numbers, says Laura Cutilletta, a senior staff attorney with the Law Center to Prevent Gun Violence. Magazines, however, have no serial number and there's no other reliable way to determine when they were made. "It makes a lot of sense not to allow that loophole," Cutilletta says. The new legislation also requires instant background checks for ammunition purchases and a ban on ammo purchases over the Internet. Previously, New York had few restrictions on ammo purchases, aside from a minimum age requirement and bans on certain types of bullets. The gun legislation includes other measures beyond the assault weapons and clip bans to counter gun violence. Cuomo and Senate Republicans wanted harsher penalties for gun crimes and several are included. Among them: a mandatory life sentence without parole for murder of a first responder. The legislation also includes provisions to standardize the pistol permit process across the state. And to keep your grandfathered-in assault weapon, you'll need a permit, too. Permit holders have to recertify every five years. New York should require periodically-renewed permits for all gun owners, Cutilletta says. It's a way for the system to catch people who may no longer be able to legally own guns, she says. "Basically, it's about responsibility," she says. "We believe that if you want to own a gun, it's your responsibility to the public to make sure that you are taking safeguards so that your gun is not going to end up at a crime scene." The new legislation creates a gun records database, though the information will not be made public. It also requires background checks for all gun sales, including private transactions. And it includes new provisions to help keep guns away from people who mental health professionals say may pose a danger to themselves or others. The legislation also includes an expansion of Kendra's Law, which was sought by Republicans. The law allows a court to mandate outpatient treatment for people with mental illness who pose a threat to public safety.